It’s no secret that the Trump administration has been much more hostile to the Amtrak Gateway Project than its predecessor. 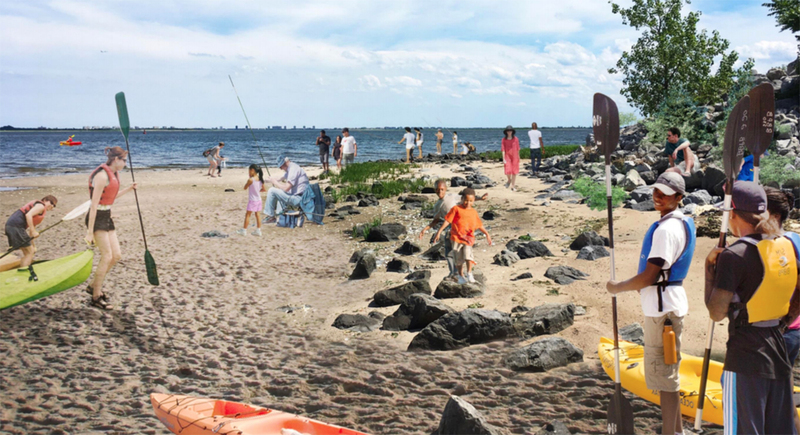 President Obama's team had hashed out a 50/50 funding agreement between the federal government and New York and New Jersey officials to replace the aging tunnel under the Hudson River, but the Trump administration quickly moved to quash the deal last year. According to NBC New York, the nonprofit National Resources Defense Council (NRDC) is now suing the U.S. Department of Transportation (USDOT) over concerns that the administration has unduly canceled the project. A federal Environmental Impact Statement for the project was supposed to have been completed by March 30, 2018, but the DOT has failed to produce any materials or answer the Freedom of Information Request (FOIA) filed by the NRDC in September. The suit alleges that progress on the Gateway tunnel is being stymied so that the administration might use it as a bargaining chip to help grease construction of a U.S.-Mexico border wall. The 108-year-old, two-track rail tube that runs between New Jersey and New York services approximately 200,000 Amtrak passengers daily but was severely damaged by saltwater during Hurricane Sandy in 2012. With the looming possibility that one of the tunnels would fail (which Amtrak expects would reduce traffic by up to 75 percent), both New York and New Jersey had upped their commitments to the project to $5 billion out of the required $12.7 billion. The Obama administration’s pledge to fund half of the project would have largely been doled out in loans to the two states, a common method of funding infrastructure. The alleged quashing of the environmental review isn’t the first time the current administration has been accused of playing hardball with the project to achieve its political aims. In March of last year, President Trump was reportedly meeting with congressional Republicans to kill the project in retaliation against Senator Chuck Schumer (D-NY) and Democratic leaders in the affected states. The NRDC suit alleges that USDOT has been intentionally delaying any progress on the project and has gone so far to refer to the project under the codename “mushroom” to thwart FOIA requests. 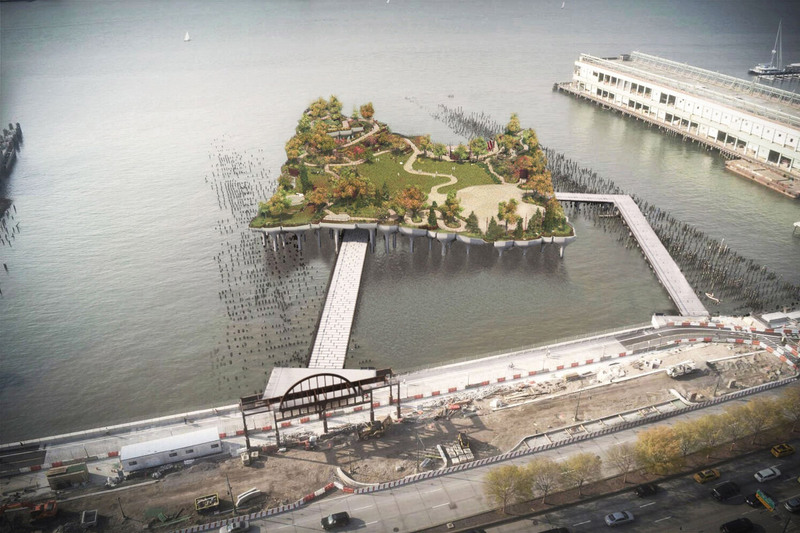 USDOT has denied impeding the Gateway Project for political reasons or using a code word to obfuscate its documentation and has chalked up the delay to what it calls an untenable funding model. The agency also issued the following statement: “It is false to say that DOT is blocking the Hudson Tunnels project, when in fact the project as it stands is actually ineligible to proceed.” New York Governor Andrew Cuomo had scheduled a sit down with president Trump at the White House over the state of the project in November of last year, as well as several high-profile, live-streamed tours of the crumbling tunnels. It appears that, for the time being, those overtures were for naught. Lending fuel to the NRDC's allegations is the recent decision by the Trump administration to demand the return of $2.5 billion in transportation grants given to California for their high-speed rail project, along with the possible cancelation of another $968 million grant. California's Governor Gavin Newsom has argued that the move is purely political and a result of the state's decision to sue the administration over its recent state of emergency declaration. 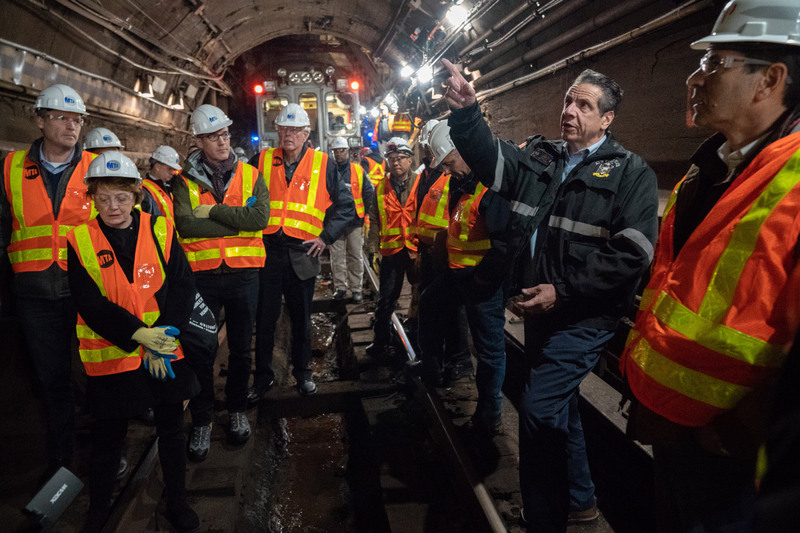 At a 12:45 p.m. press conference Thursday afternoon, Governor Andrew Cuomo unveiled plans to prevent the 15-month-long L train shutdown that was set to begin on April 27. 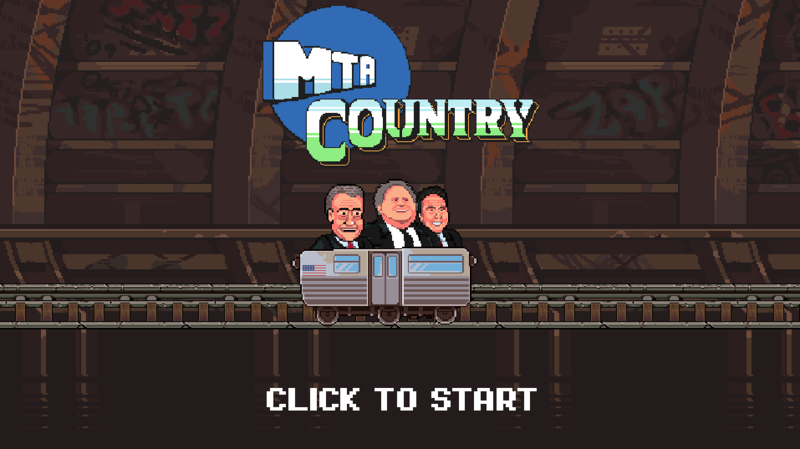 Seated between a panel of engineering experts from Cornell and Columbia Universities and representatives from the Metropolitan Transportation Authority (MTA), Cuomo repeatedly touted the innovative nature of the proposed solution—as well as his success in building the new Mario Cuomo Bridge. After Hurricane Sandy struck New York City in 2012, the Canarsie Tunnel that runs between Manhattan and Brooklyn was flooded with salt water. The L line, which ferries 250,000 riders a day between the two boroughs, still requires extensive repairs to fix the corrosion caused by the storm. The concrete bench walls lining the tunnel were damaged, as were the wires and other electrical components embedded behind them. The MTA was scrambling to implement alternatives for commuters, including turning an east-west stretch of Manhattan's 14th Street into a dedicated bus lane, but it now looks like the planning was for naught. The new scheme presented by Cuomo, a joint effort between the governor’s engineering team, WSP, Jacobs Engineering Group, and the MTA, restricts the slowdowns to nights and weekends. Instead of removing and rebuilding the tunnel’s bench wall, and the components behind it, only the most unstable sections will be removed. Then, a fiberglass wrapper will be bonded to the tunnel’s walls via adhesive polymers and mechanical fasteners. A new cable system will be run on the inside of the tunnel via a racking system and the old wiring will be abandoned. New walkways will be added to the areas where the bench walls have already been or will be removed. Finally, a “smart sensor” network of fiber-optic cables will be installed to monitor the bench wall’s movement and alert the MTA to potential maintenance issues. 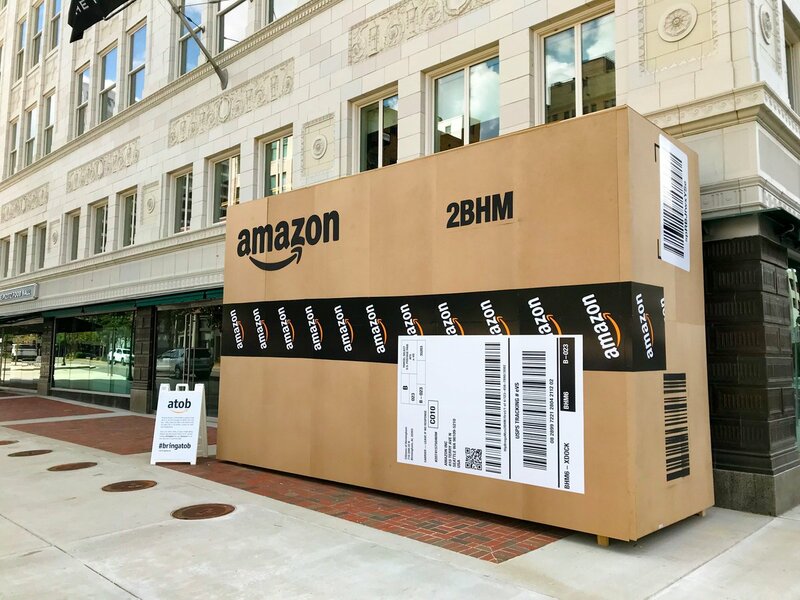 Governor Cuomo hailed the move as innovative, saying that this cable racking system was commonplace in European and Chinese rail projects but that this would be the first application in America. 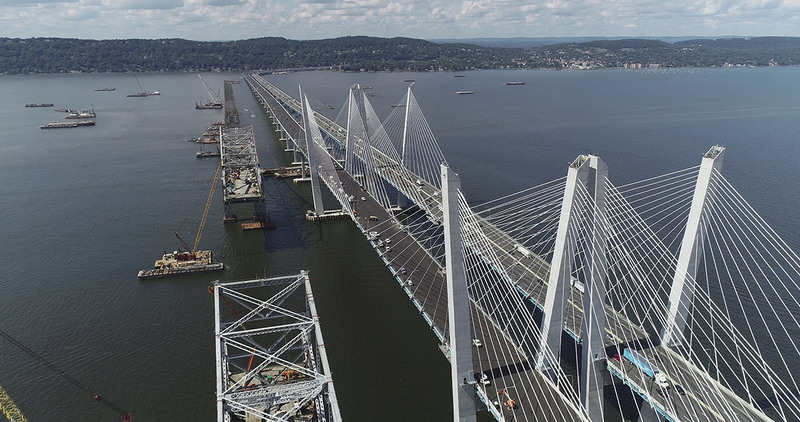 He also claimed that the fiberglass wrapping would be a “structural fix”, not just a Band-Aid, and that it was strong enough to hold the new Mario Cuomo bridge together. 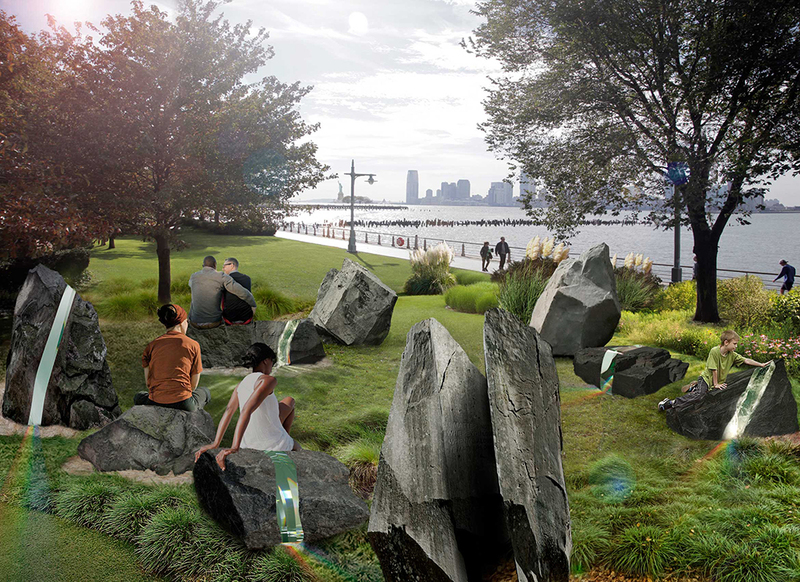 To increase the system’s sustainability, floodgates would be added to the First Avenue station in Manhattan and the Bedford Avenue station in Brooklyn. 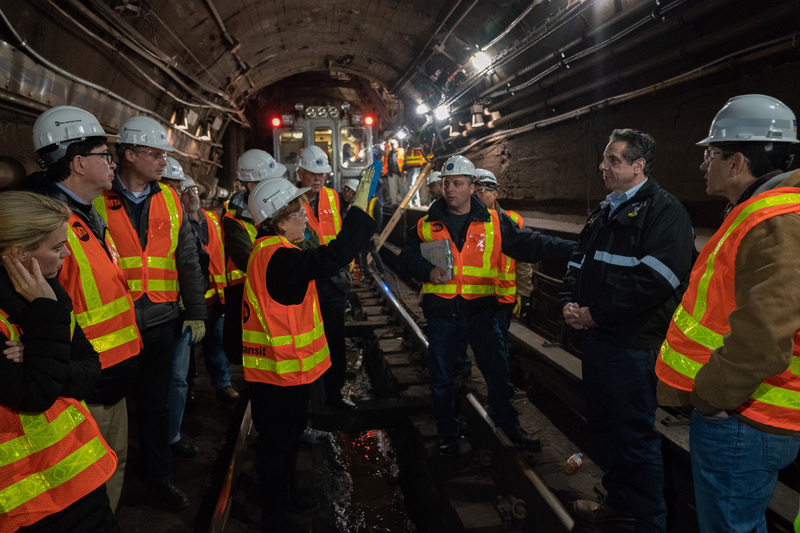 After the presentation was complete, Cuomo passed the microphone to MTA acting chairman Fernando Ferrer, who said that the agency would be implementing the changes immediately. Still, skepticism over whether the MTA would be able to implement the plan quickly bubbled up from the members of the press in attendance and on social media. 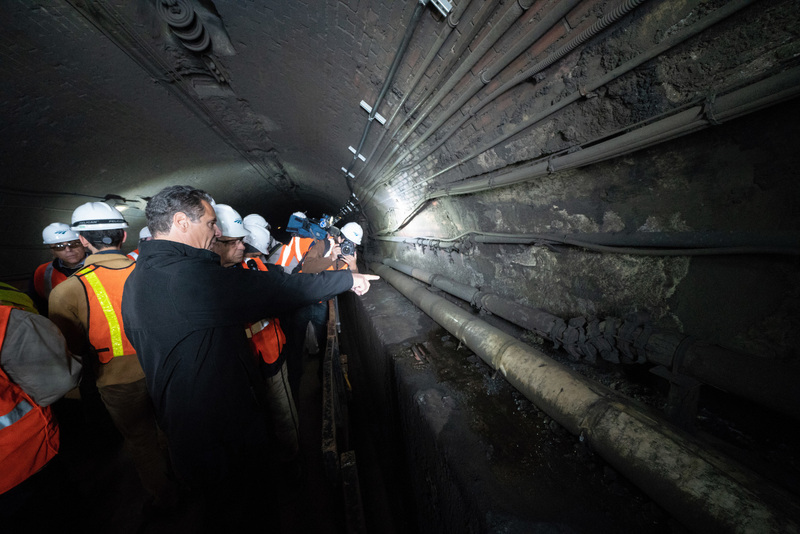 Because this method of tunnel repair has thus far been untested in the U.S., the question of whether the MTA would be able to find skilled workers to implement the plan was raised. Cuomo, for the most part, brushed the concerns off, claiming that each piece of the repair scheme has been conducted individually before. If the L train repair plan proceeds as scheduled, one track at a time will be shut down on nights and weekends for up to 20 months. To offset the decrease in service, the MTA plans on increasing service on several other train lines, including the 7 and G.
The Cuomo administration has previously played a major role in the redevelopment of the Penn Station area, including backing the transformation of the James A. Farley Post Office into the Moynihan Train Hall. 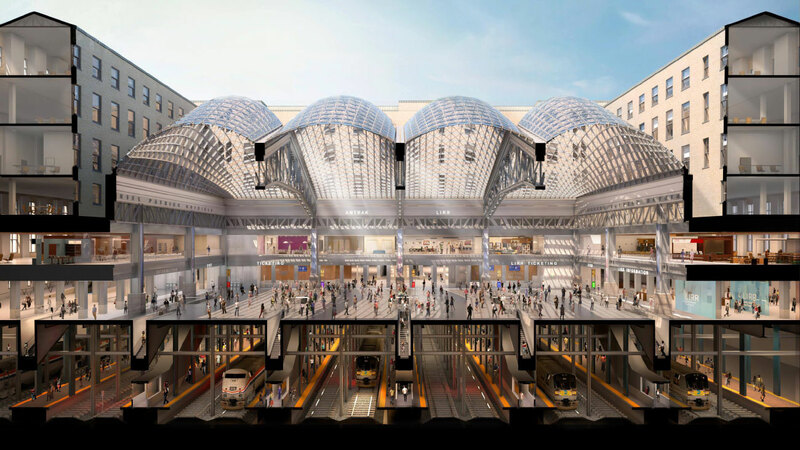 While the city has reportedly been in talks with the MTA and developers Vornado Realty Trust, who own much of the property surrounding Penn Station, Wednesday was apparently the first time that any party outside of Albany had seen the proposal. When reached for comment by Politico, Cuomo spokesperson Peter Ajemian suggested that their reporting on the day-old plan was already outdated. 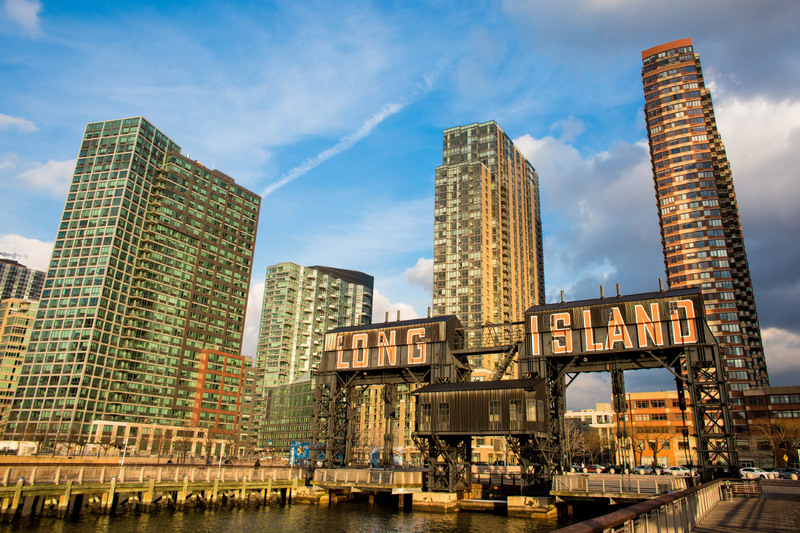 "Throughout the budget process, documents are exchanged hundreds of times over to advance solutions for New Yorkers," said Ajemian. "The document you’re basing your story on is outdated, inaccurate and not comprehensive." The governor’s office has suggested that the original broad outline was simply a starting point, and would likely be narrowed down in the back-and-forth as budget negotiations continued. 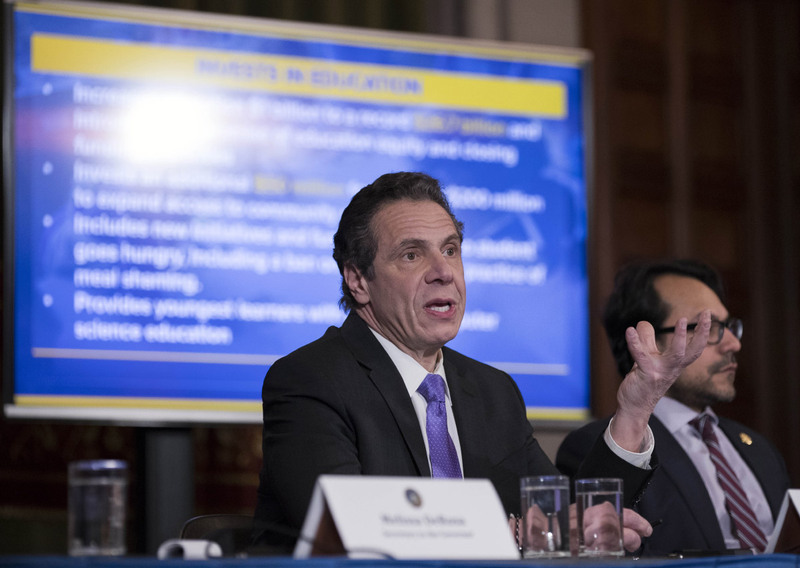 Still, with Governor Cuomo’s self-imposed March 30th deadline looming, it’s unclear if the plan will make the final cut. The full version of the leaked document can be found here.